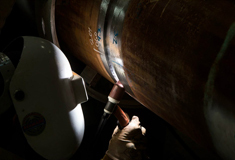 Acute Technological Services (ATS) provides welding services worldwide for both onshore and offshore activities. ATS has more than twenty years experience in providing engineered welding solutions. A leader in the welding industry, ATS is advancing the science of welding engineering and generating technical innovations through the application of new technologies and proven scientific methods. Welding engineering and consulting services including systems design, specification development, training and monitoring. Developmental welding services for procedure design, qualification, process design and specialized testing including weldability, metallurgy, failure and corrosion analysis. Automatic and manual welding – Orbital GTAW, pulsed GMAW, overlay, buttering, GTAW, SAW, SMAW, FCAW, GMAW and PAW. Specialized and critical-application welding for deepwater production, riser systems, control systems, flowlines and land-based pipelines. Capabilities include high-allow welding, coiled tube welding, CNC tube bending and cladding services. Inspection services for non-destructive (NDT), in-house digital X-Ray and CWI monitoring.